- As Asia’s premier logistics service provider, we are deeply vested in your success in both the region and the larger global market. - We understand the uniqueness of the Asian market and the complexity of global supply chains. - Our expertise extends beyond the mechanics of logistics into diverse business and cultural considerations that effect seamless movement of cargo. - When you partner with Kerry Logistics, you partner with a powerful network designed to help successfully drive your business at the global, regional and local level. - We are committed to creating real value for our stakeholders through innovative solutions, sustainable results and long-term growth. - The key strength of Kerry Logistics remains its people. We are committed to creating value for our employees through rewarding careers, workplace quality and work-life balance. - Our people are self-starters with can-do attitude and entrepreneurial spirit. We strive to be proactive in meeting customers’ needs, providing innovative solutions that help them fully realize their business goals. From front line handlers to the top seat in the boardroom, we employ team approach, where respect for one another is a fundamental value. - As we continue to grow and expand, we constantly invest in the development of our people, building a winning team by recruiting industry professionals and young talent from a diverse range of cultural backgrounds. - At Kerry Logistics, we place great importance on attracting and retaining high-quality staff, and are committed to nurturing individual careers. - We believe in value creation for our employees; openness that gives consideration to all input; integrity to keep standards high and quality consistent; commitment to facing challenges together; and excellence in teamwork, innovation and improving our services. - Diversity is our strength, so whatever your background, we welcome you to join Kerry Logistics and grow with us. 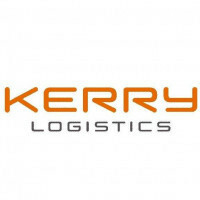 "Asia Specialist with Global Footprint"
Kerry Logistics is Asia’s premier logistics service provider. We offer end-to-end supply chain solutions for multinational corporations and international brands – from sourcing and manufacturing, to selling across the globe. Our expertise covers all categories of merchandise, non-merchandise, Point-of-Sale Materials (POSM), and more.